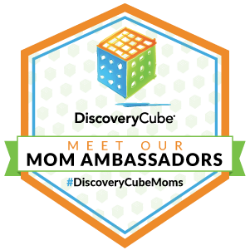 Do you have a family who loves sports? 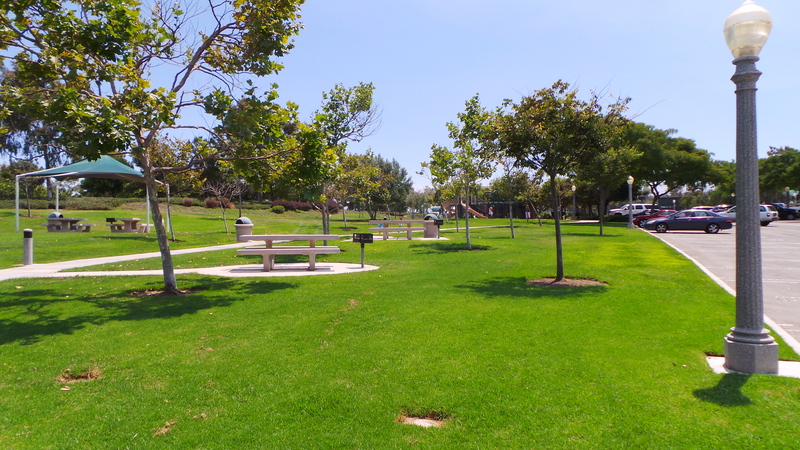 Then you are going to love spending the day at the Bonita Canyon Sports Park in Newport Beach. 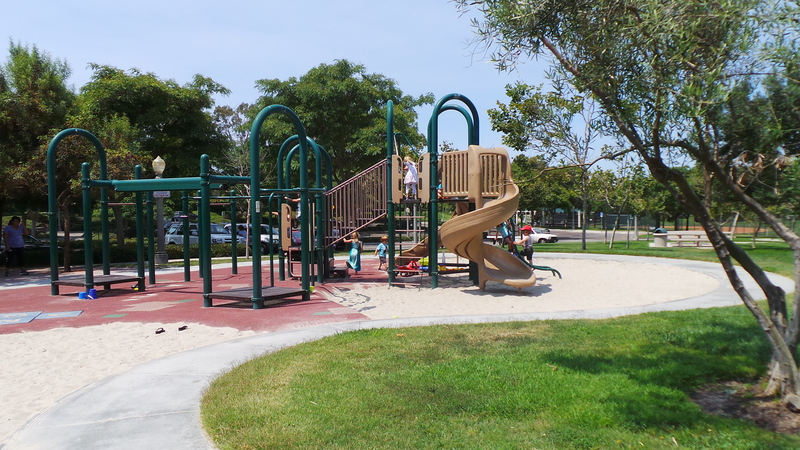 Not only does this park have some of the most beautiful sports fields, but also has a lovely park for children to play. 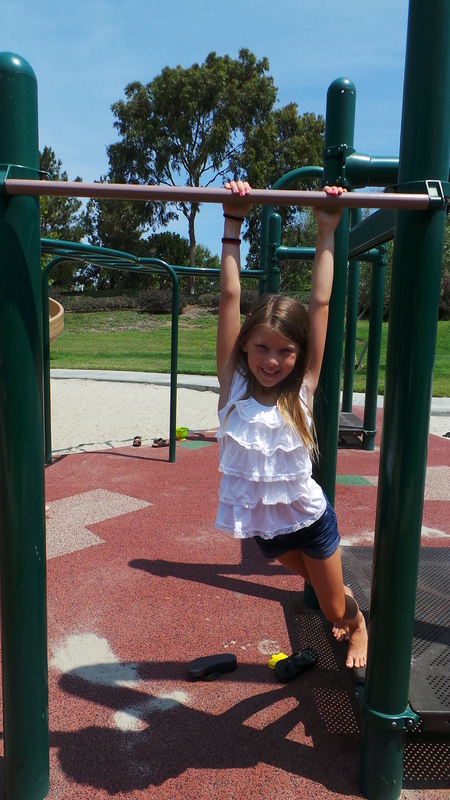 This park has become one of our favorite’s to visit in Newport Beach. 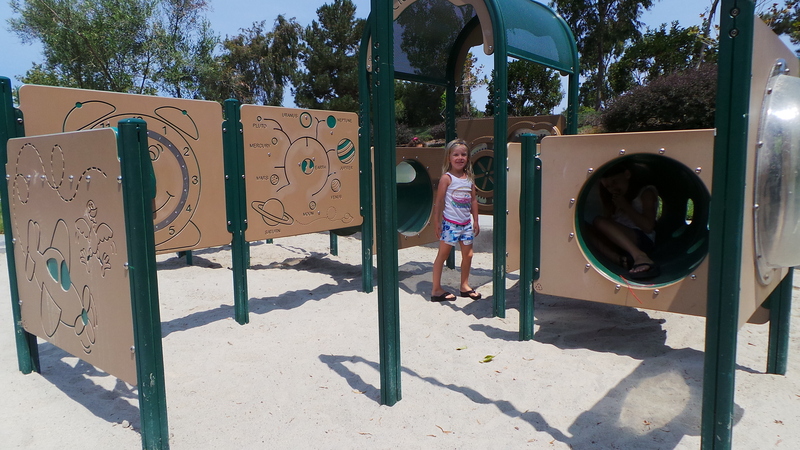 The park has a larger playground, and this adorable interactive smaller tot lot. 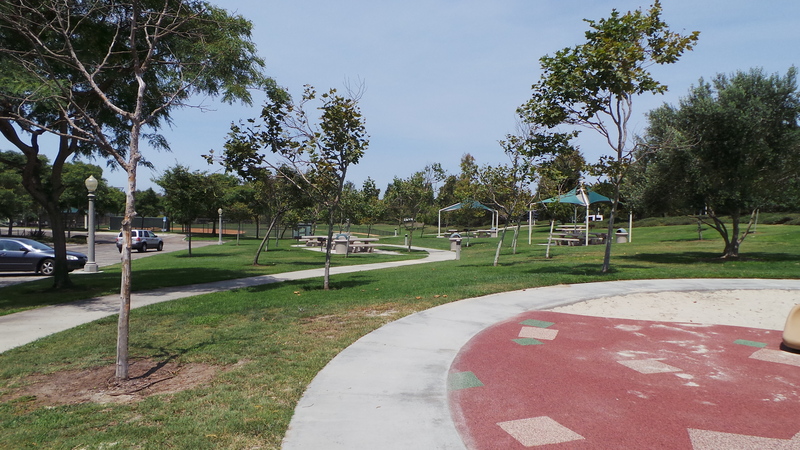 Kids can play, explore and learn on this tot lot. Then there are my kids favorites..the swings! 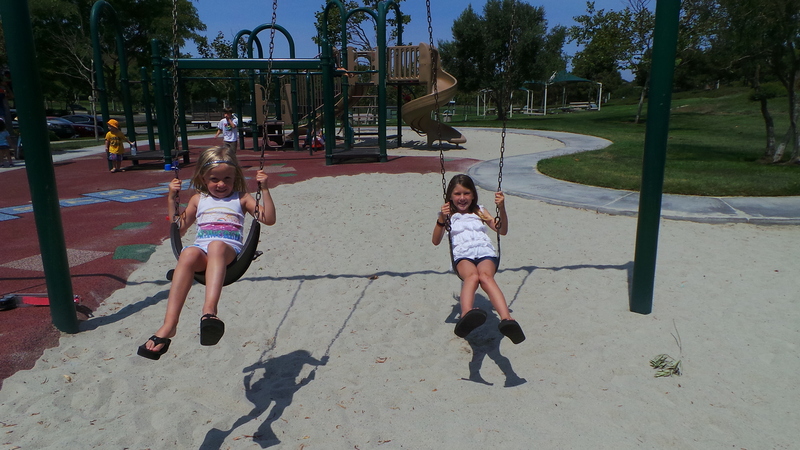 The park has the swings located in-between the two playgrounds. 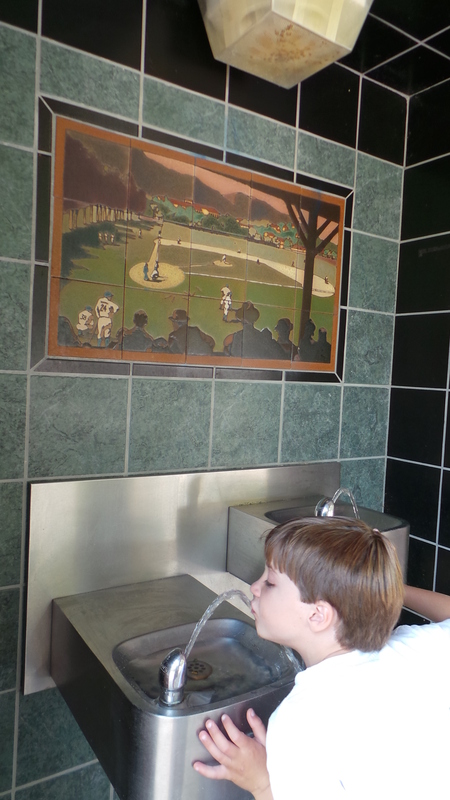 The park has really nice upgraded water fountains. Forgot water? Not a problem! Oh..did I mention they have *nice* bathrooms too? Another plus!! 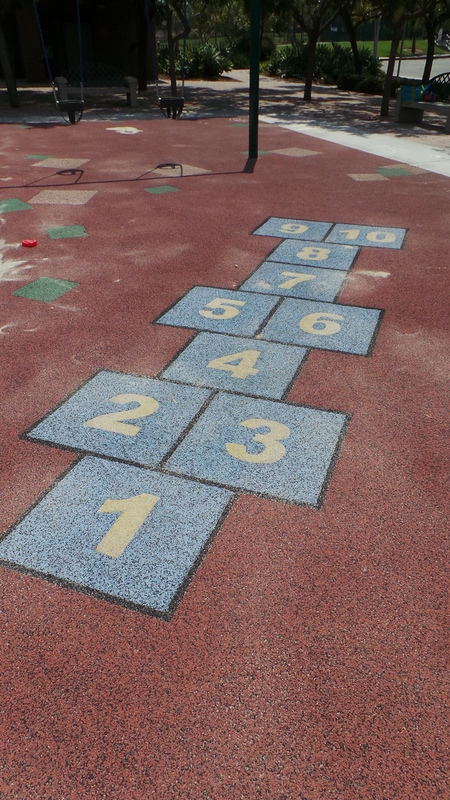 One of the features that caught my attention were the interactive games modeled in the foam flooring of the park. 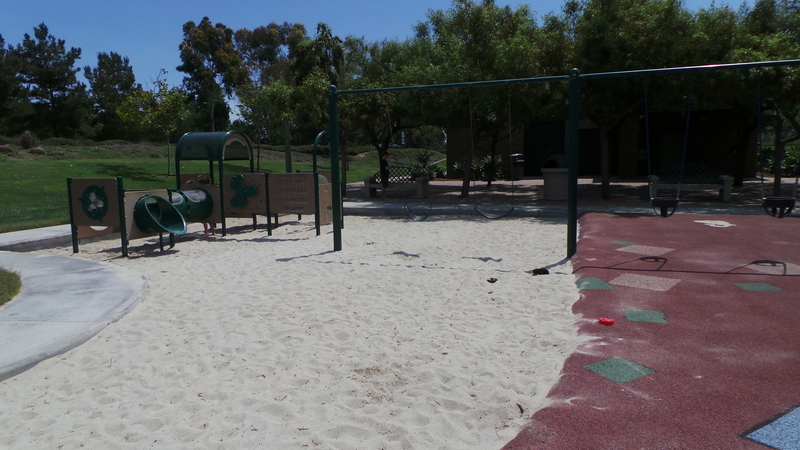 There is also a large amount of sand box area in-between the two playgrounds. Kids that just want to play with their sand toys don’t have to worry about climbing kids getting in the way of their play. Our kids spent an hour playing on the play structure. The structure for older children is nice because it is not too big. 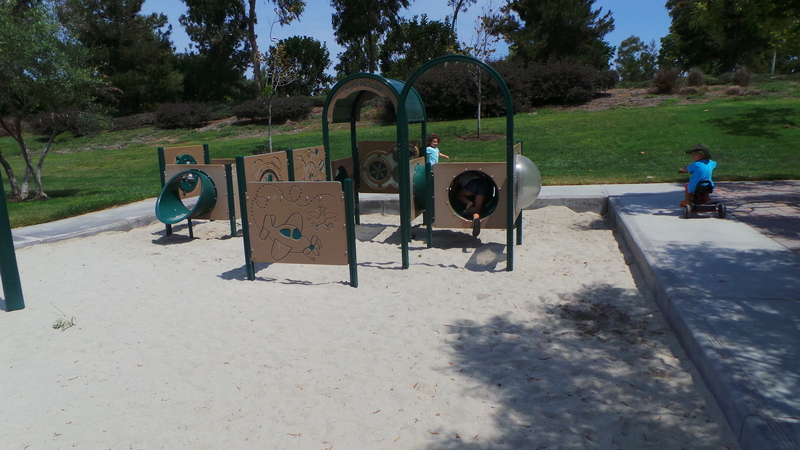 It is a great playground for moms with children transitioning between the smaller play structure and the larger ones. 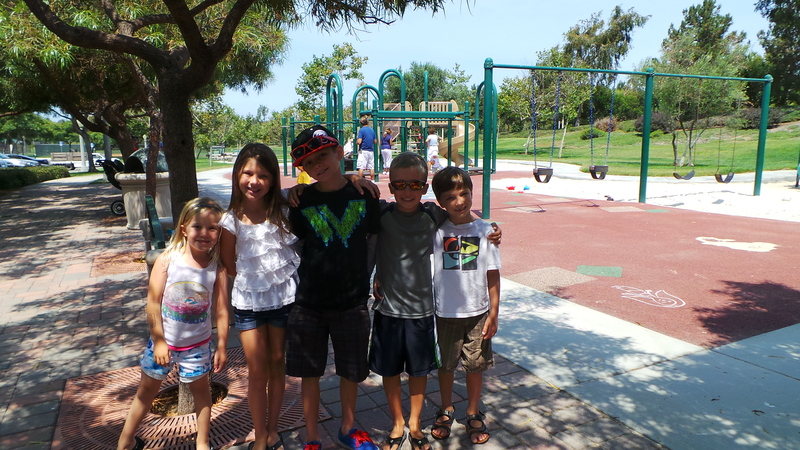 This park is ideal for birthday parties! 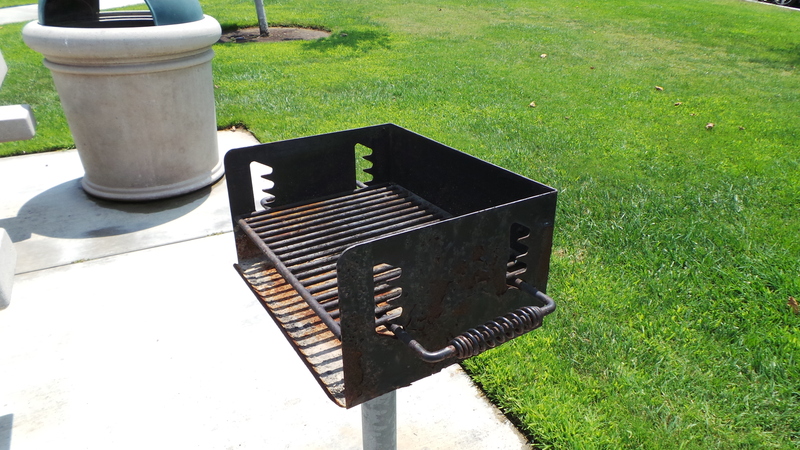 There are picnic tables, and barbecues. 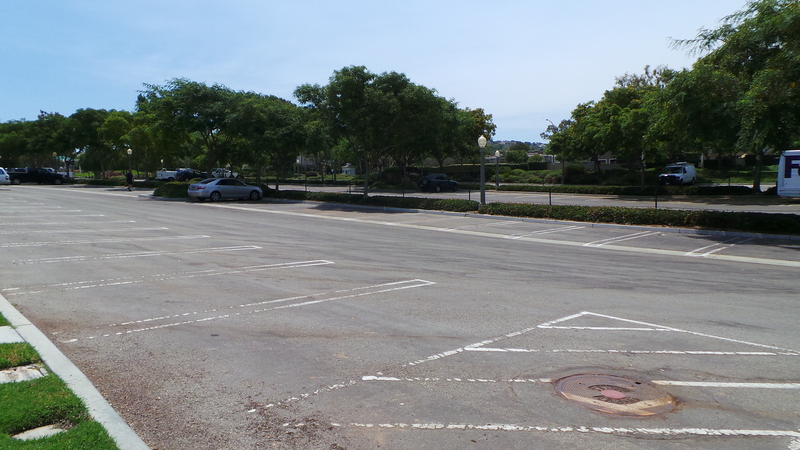 Plenty of space between the different picnic tables. Families can have a party at the park the same time as another family, and yet still feel like they all have their own space. (Check out all the trees that are perfect for pinatas too!) Table reservations can be made by calling 949-644-3151. They are all first come, first serve. 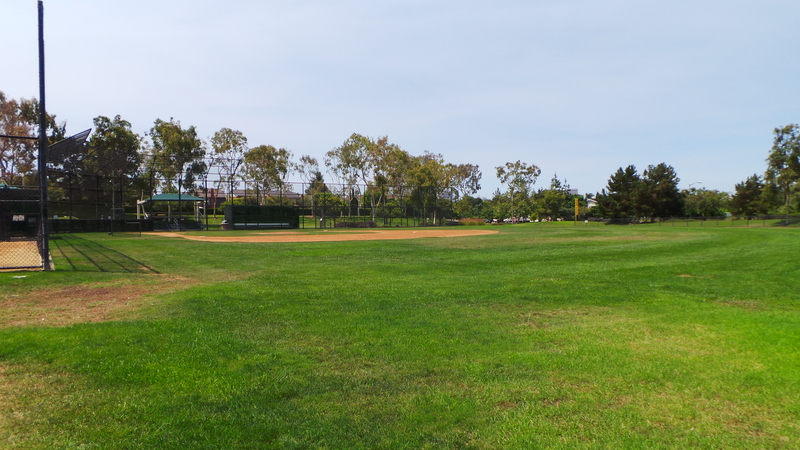 The Bonita Canyon Sports Park is located at 1990 Ford Road in Newport Beach.